In terms of local government, Brighton and Hove have only recently been connected. After all, Brighton Borough and Hove Borough only amalgamated in 1997. But, on the issue of health specifically, the Brighton Dispensary in 1809 saw the two towns’ inhabitants working closely as one. The Brighton Dispensary was established in 1809 on North Road in Brighton. Following demand from those living in Hove and Cliftonville, the Brighton & Hove Dispensary, Western District, was created. Money from various sources allowed a house, 4 Farm Road, to be purchased as its premises in 1859. 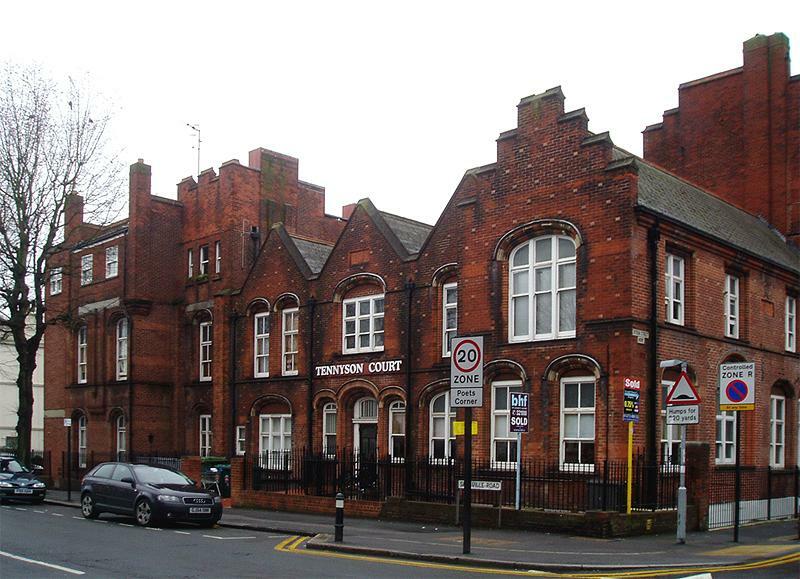 This building quickly became cramped so in 1885, a site on the west side of Sackville Road by Poets’ Corner purchased. The new large red-brick building was designed by Clarke & Micklethwaite and built by John T. Chappell. It has three impressive gables in a style typical of the period on the principle façade to the east facing Sackville Road. It also has various castellated sections including an impressive belvedere (squat tower) on the south side. 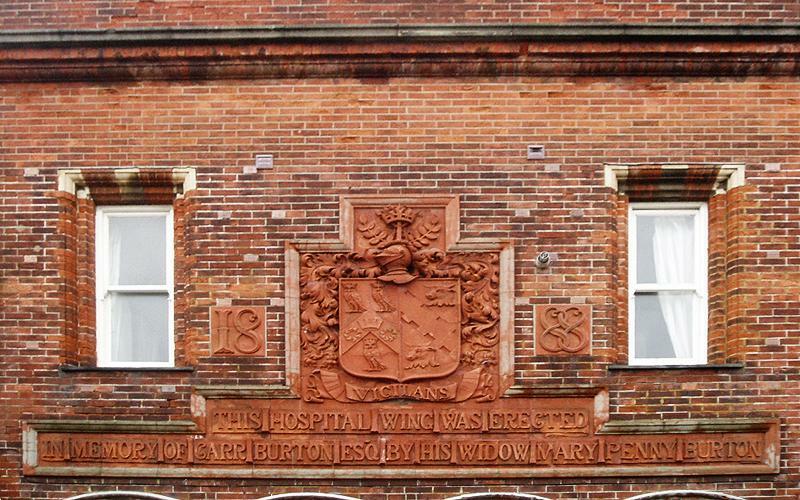 The year that most of the building work was carried out, ‘1887’, is emblazoned on both the north and east sides in terracotta. However, a gigantic array of terracotta panels on the south side includes the date of the opening, ‘1888’, astride an intricate shield. It is without doubt the building’s greatest feature. In 1918, what had become the ‘Western Branch of the Brighton, Hove and Preston Dispensary’ was renamed ‘Hove Hospital’ (phew!). Space again became sparse so a new extension was added in 1934 that was opened by Princess Helena Victoria. This nearly doubled the number of beds from 26 to 51. By 1946, the nurses’ accommodation had become hospital wards which raised the number of beds to 86. Despite the changes, Hove Hospital became less suitable over time and its casualty department was closed in 1970. It eventually closed in 1997 to be replaced with new facilities to the south of Neville Avenue on former allotments. Hove Hospital’s last owners, Brighton & Hove Health Care NHS Trust, sold the vacant building to a Brighton-based developer called First Steady. It was converted into 37 flats to the designs of the architect Christopher Dodd. The block was named Tennyson Court complimentary to the names of the roads of Poets’ Corner despite a clear difference in architectural style (I would have preferred a medically-themed name). I guess that’s poetic licence for you!